The online registration process for JIPMER MBBS exam 2019 has started on the official website. Candidates can apply latest by 12 April 2019. 06 March 2019: The Jawaharlal Institute of Postgraduate Medical Education & Research (JIPMER) has started the online registration process for JIPMER MBBS 2019. Interested candidates can apply through the official website. Apart from NEET UG and AIMMS MBBS entrance exams, JIPMER MBBS is the only other entrance test for admission in undergraduate medical courses. 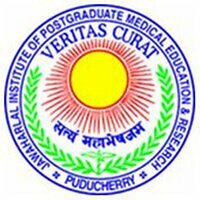 Qualifying the exam, students can get admission to JIPMER Puducherry and JIPMER Karaikal. 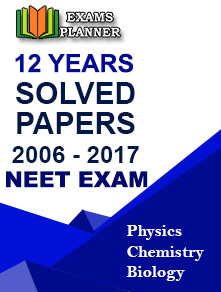 Candidates must have passed Higher/Senior Secondary exam or any other exam equivalent to 10+2 level of study with Physics, Chemistry, and Biology/Biotechnology with English subject. The aggregate marks in Chemistry, Physics and Biology/Biotechnology must be 50% for General category candidates and 40% for SC/ST/OBC/OPH category candidates. PwD candidates belonging to general category must have minimum 45% marks. Candidates must have passed separately in Chemistry, Physics, Biology/Biotechnology and English subjects. The minimum age of the candidate should be 17 years as on 31 December 2019. There is no upper age limit. The JIPMER MBBS 2019 application process is online. Candidates must visit the official website and click on the application link to complete the form. The application fee for the exam can be paid only through the online mode by using a credit card, debit card or internet banking. Check out the complete step-by-step process for filling the application form. The application fee can be paid through net banking, credit card, or debit card. Please note that the fee will not be accepted through any other mode of payment. Candidates have to pay the additional transaction charges. Candidates belonging to PwD and P-PwD categories are exempted from the JIPMER MBBS 2018 application fee. The medium of the exam will be ENGLISH only. Questions will be based on the syllabus prescribed by the CBSE and State Boards for XI and XII standards. Candidates can get familiar with the exam pattern through the mock test available on the official website.